November 20, 2014 at 11:02 am PDT May contain affiliate links. Read disclosure. *NOTE: Click on the video above to start watching. Or if you don’t see the video, click here to watch it on youtube. *If you liked the video, click here to Subscribe to future videos. 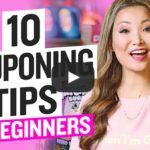 This was my favorite video to make (so far), because this topic is at the heart of what Free Stuff Finder was about when it was first started in 2006 — way before we ventured into couponing and online deals. I hope you enjoy the video. Google Voice – If you already have a gmail account, you can sign in with your gmail account to get setup. Or if you are new to gmail or google accounts, you can sign up here. With google voice, you can get a Free phone number in your local area code. The phone number can accept calls, receive voice mails and text messages. Never fill out an online form with your real number. RoboForm – You can read more about and download RoboForm here. It was designed to be a password manager, with plugins for your web browser. But it has auto fill feature to fill in commonly used web fields. LastPass – LastPass is an alternative to RoboForm. Another very cool password manager with browser plugins, and can help to fill out forms faster. Do we sign up with Google voice for our real email address or a our freebie email account? i would use my freebie account email. which freebie website is more safe and popular? Is this site legit freesamplefinderusa.com? Should i sign up for it or is it scam? And i have seen a couple of sites similar to this one, do you know anything about them?